One of the most useful things you can do with Google Analytics is track visitor engagement on your website. Standard metrics such as pageviews, sessions, and bounce rate can give you a quick glance into overall usage patterns—but they don’t offer a lot of useful information beyond that. What are Micro and Macro Conversions? All of the above can be classified as either a micro or macro conversions, signaling how far along users are in their customer journey. Here’s Justin Cutroni, Analytics Advocate at Google, explaining how micro- and macro-conversions work in the context of e-commerce. Conversion goals differ between industries. For a web publisher, the biggest goal may be selling subscription plans, so that becomes a “macro conversion”, all the other smaller actions that a user may take on the way to buying any one of the subscription plans can be classified as “micro conversions”. Keeping an eye on these numbers can help publishers gain a clearer understanding of how far they are from meeting their growth and business goals. So instead of saying “we had 190,000 pageviews in March”, you will be in a place to say “we had 8000 eBook downloads, 28,000 newsletter subscription, 250,000 video plays, and 4500 subscription sales in March”. Defining your micro- and macro conversions should be done keeping in mind your larger business goals and the things you want to measure and improve. If your goal is to drive higher subscription revenues, you may want to track newsletter subscriptions, the percentage of users who scroll below the fold, and paid subscription sales. If your goal is to increase video engagement, you may want to track video clicks, percentage of users who view a certain length of video, and social shares on video content. These conversion metrics then become the KPIs (key performance indicators) for your business goals. Let’s say you’ve done the work and decided what micro- and macro conversions you want to track. How do you communicate information about the conversions to Google Analytics? Using event tracking. The types of micro- and macro conversion events you can collect data for have to be based on one of the following types of event tracking available in Google Analytics. The syntax and naming conventions for sending an event hit have been defined by Google in the Event Tracking document. One of the most popular event handlers is onClick, which fires when a user clicks on an element / object on the web page. A download button for a whitepaper on native ads could, for instance, have the following embedded event handler code, which passes on the event information to Google Analytics for tracking. Here, the event category is ‘whitepaper’, event action is ‘download’, event label is ‘whitepaper_native.pdf’; and if the whitepaper is not free, the event value can be used to pass on the price. If you’re tech-averse, you may want to hire an analytics expert to convert your micro- and macro conversions into event hits and to maintain proper nomenclature and documentation. An easier way to create event handlers if you don’t want to build them manually is by using the Google tag manager. Don’t be put off by the jargon, the time you spend defining your micro- and macro conversions and then tracking them using Google Analytics will pay off when you get detailed reports about every user interaction on your website that ties into the growth of your business and revenue. Point to note: Google Analytics can only track about 500 events per session by default, something you may want to keep in mind while creating your micro- and macro conversions. You want to capture the data that is most important to you while making sure that Analytics is not being overrun by event hits. 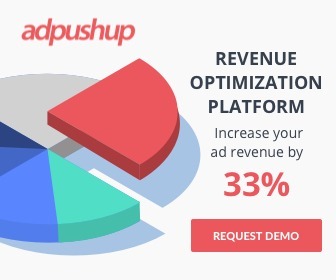 What’s Causing the Sudden Drop in Your AdSense Earnings, CTR and RPM?